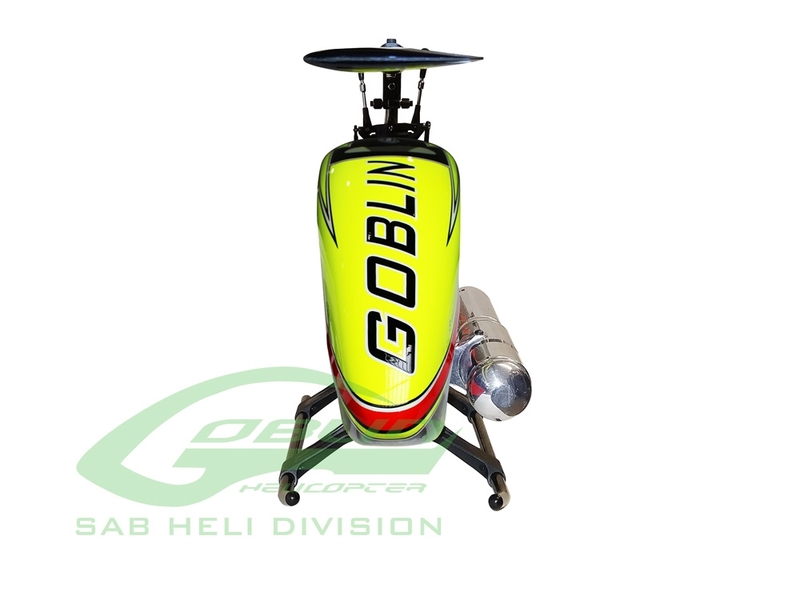 The all new Goblin Nitro Sport shares many of the designs features of the original Goblin Black Nitro, but carries the "Sport" name by coming with G10 frames, a cheaper canopy and boom while still maintaining the stylish look of the Goblin! The Goblin Nitro Sport is designed to run 690-710mm blades. Kit does not include blades! 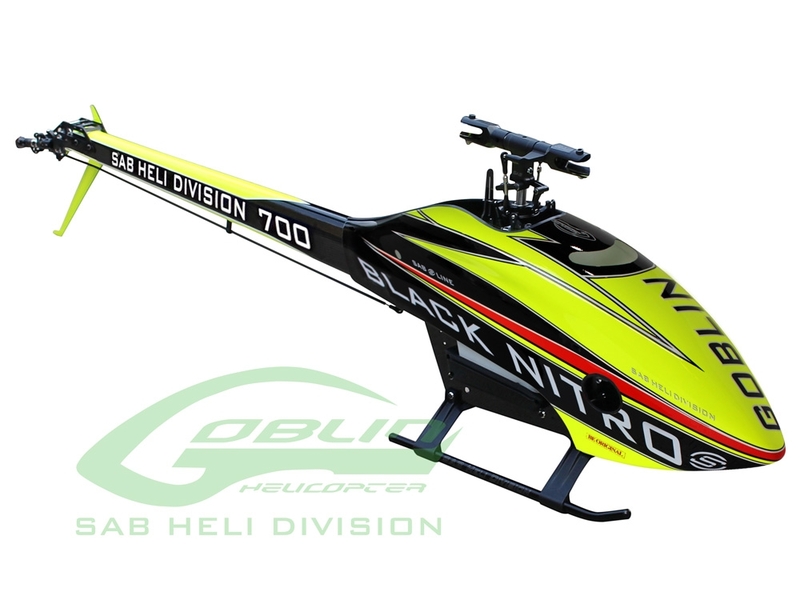 The Goblin Nitro Sport carries over all of the unique and innovative design features of the Goblin Black Nitro such as the G10 frames and cheaper canopy and boom. The G10 frames allow the same incredible performance at a much cheaper price, but is still upgradeable to the carbon fiber frames. There are no blades included, which means we pass the savings on to you to choose the blades you want to fly! 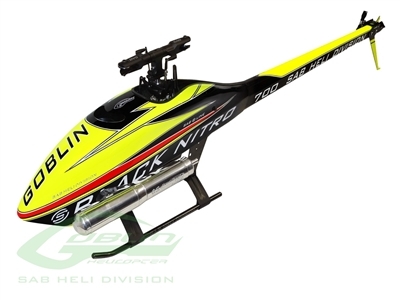 The Goblin Nitro Sport is designed to run 690-710mm blades.